If you read my blog you will know that I’m repeating myself. I can’t help stressing this enough though. 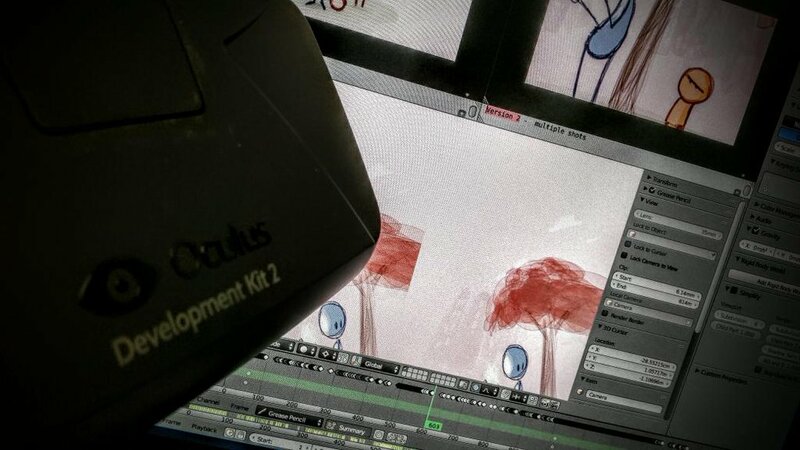 Parts of the challenge of stereo movie making is to work in 3d as soon as possible in your pipeline. This is the main reason the Multi-View implementation ranges from the 3D viewport all the way to the sequencer. VR (Virtual Reality) movie making is no different. Even more so, if we consider the uniqueness of the immersive experience. 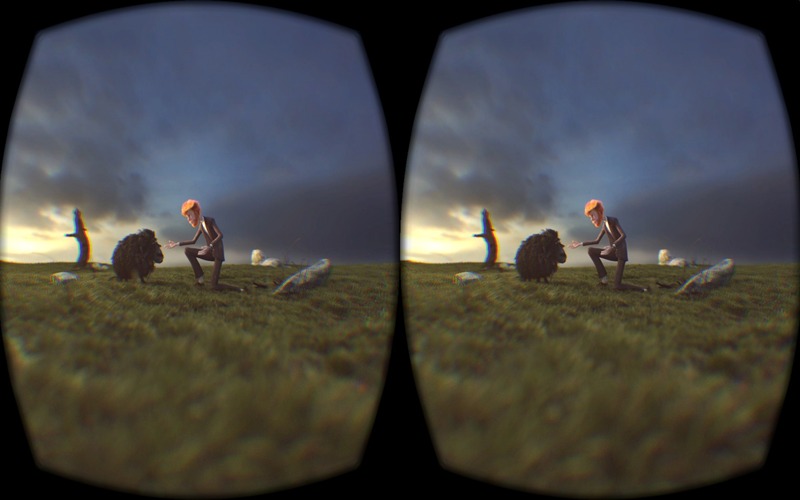 So what if … What if we could preview our work in VR since the first stroke of the storyboard? Here I’m demoing the Oculus Addon I’ve been developing as part of an ongoing research at a virtual reality lab in Rio (Visgraf/IMPA). Notice that I’m not even drawing in VR. i’m merely experiencing the work done by Daniel “Pepeland” Lara in his demo file. 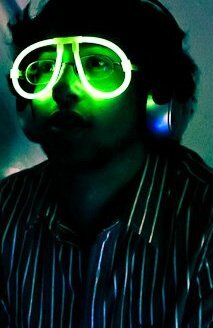 The applications of this addon are various, but it mainly focus on support HMD (head mounted displays) in the Blender viewport. At the moment the support is restrict to Oculus (Rift and DK2), and it excels on Windows since the fastest direct mode is only supported on Oculus’s latest (Windows-only) SDK. Disclaimer 1: A similar reflexion should be valid for other HMDs (Head Mounted Displays). Disclaimer 2: This is a personal essay, based on my personal experience. Take the following words with a grain of salt. The buzz about VR (Virtual Reality) is far from over. And just as with regular stereo 3D movie pipelines, we want to work in VR as soon as possible. That doesn’t mean necessarily to sculpt, animate, grease-pencil all in VR. But we should at least have a quick way to preview our work in VR – before, after, and during every single of those steps. At some point we may want special interactions when exploring the scene in VR, but for the scope of this post I will stick to exploring a way to toggle in and out of VR mode. That raises the question, how do we “see” in VR? 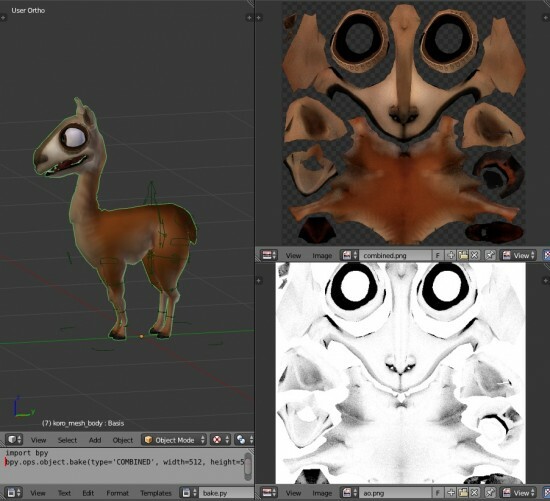 Basically we need two “renders” of the scene, each one with a unique projection matrix and a modelview matrix that reflects the head tracking and the in-blender camera transformations. This should be updated as often as possible (e.g., 75Hz), and are to be updated even if nothing changes in your blender scene (since the head can always move around). Just to be clear, by render here, I mean the same real-time render we see on the viewport. There are different ways of accomplish this, but I would like to see an addon approach, to make it as flexible as possible to be adapted for new upcoming HMDs. Not supporting Direct Mode (nor the latest Direct Driver Mode) seems to be a major drawback of this approach (Extended mode is deprecated in the latest SDKs). The positive points are: cross-platform, non-intrusiveness, (potentially) HMD agnostic. All considered, this is not a bad solution, and it may be the easiest one to implement. In fact, once we go this way, the same solution could be implemented in the Blender Game Engine. The OpenGL Wrapper change should be straightforward – I’ve done this a few times myself. 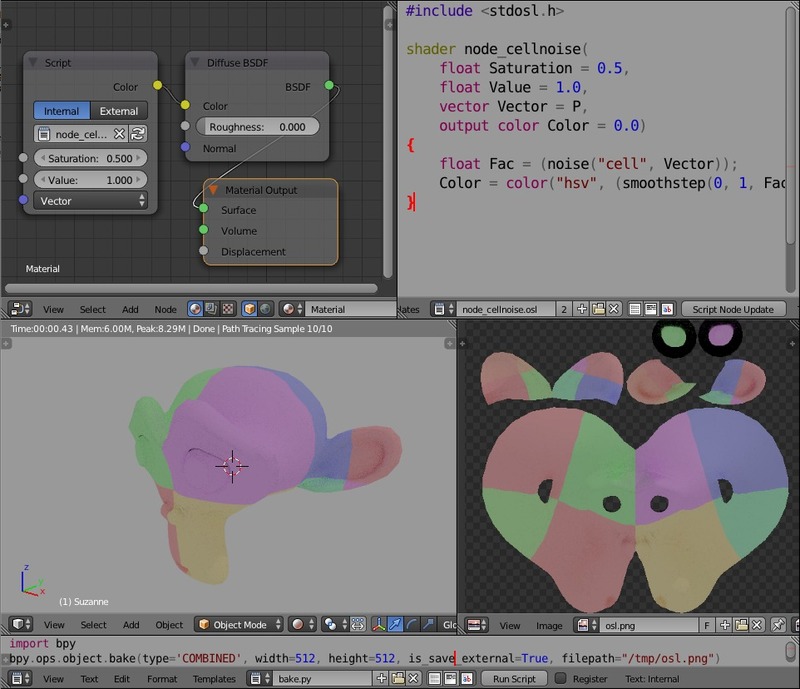 The main off-screen rendering change may be self-contained enough to be incorporated in Blender without much hassle. The function should receive a projection matrix and a modelview matrix as input, as well as the resolution and the FBO bind id. The BGE change would be a nice addition and illustrate the strength of this approach. Given that the heavy lift is still being done by C, Python shouldn’t affect the performance much and could work in a game environment as well. The other advantage is that multiple versions of the SDK can be kept, in order to keep maintaining OSX and Linux until a new cross-platform SDK is shipped. That’s pretty much it, if you have any related reflexions please share on the comments below. 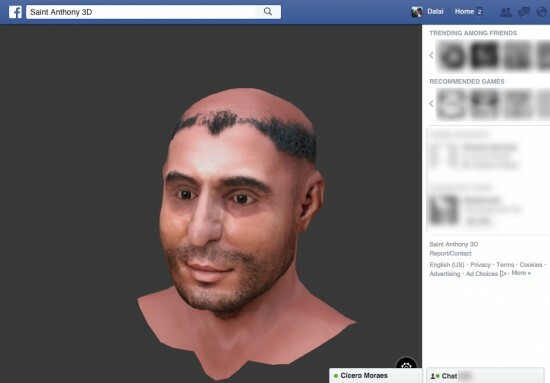 Thanks to Blend4Web, there is a very straightforward way of embedding a 3D model from Blender into Facebook. I couldn’t let this pass, and I gave it a go today. If you want to check out the “app”, it is publicly available here (if the app fails to load, disable Ghostery or similar active addons). The trickiest part for me was to enable https in my server (which is required by Facebook). Apart from that, everything was pretty straightforward (the navigation in the app is the default built-in viewer from Blend4Web). I would like to thank Cícero Moraes and his team, for sharing the 3D model with me, and allowing me to re-share it via Facebook. 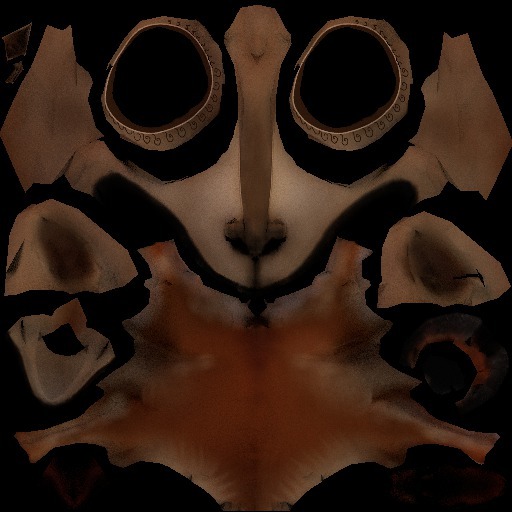 Saint Anthony, facial forensic reconstructed in 3D by Cícero Moraes, Paulo Miamoto phD and team. This project was part of Ebrafol (Equipe Brasileira de Antropologia Forense e Odontologia Legal) activities, made possible thanks to a plethora of open source tools. The final digital file was made with Blender 3D, and is shown here exported via Blend4Web. 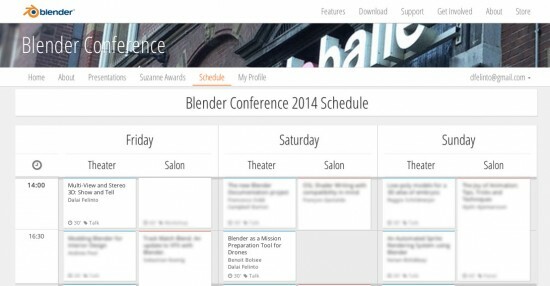 This week I visited the Blender Institute and decided to wrap up the multiview project. 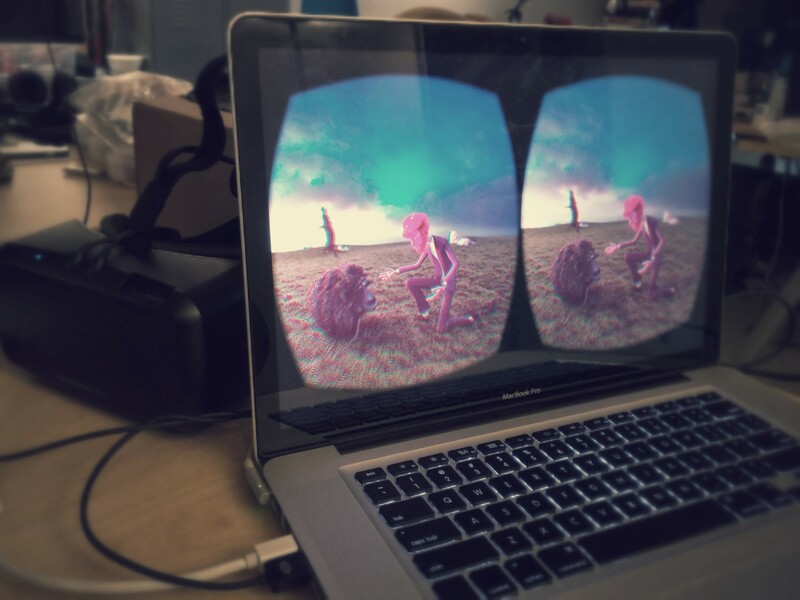 But since I had an Oculus DK2 with me I decided to patch multiview to support Virtual Reality gadgets. Cool, right? There is something tricky about them. You can’t just render a pair of panoramas and expect them to work. The image would work great for the virtual objects in front of you, but it would have the stereo eyes swapped when you look at behind you. How to solve that? Do you remember the 3D Fulldome Teaser? Well, the technique is the exactly same one. We start by determining an interocular distance and a convergence distance based on the stereo depth we want to convey. 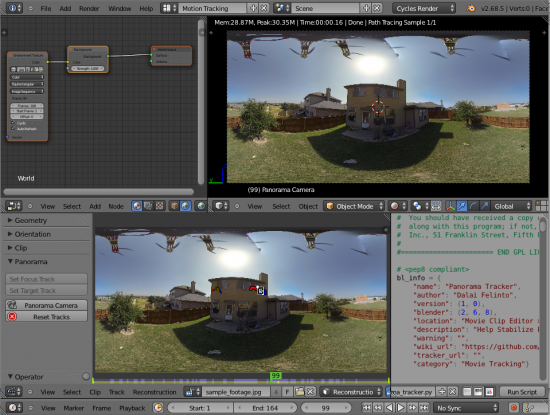 From there the software (Cycles) will rotate a ‘virtual’ stereo camera pair for each pixel to be rendered, so that both cameras’ rays converge at the specified distance. This may sound complicated, but it’s all done under the hood. If you want to read more about this technique I recommend this paper from Paul Bourke on Synthetic stereoscopic panoramic images. The paper is from 2006 so there is nothing new under the Sun. 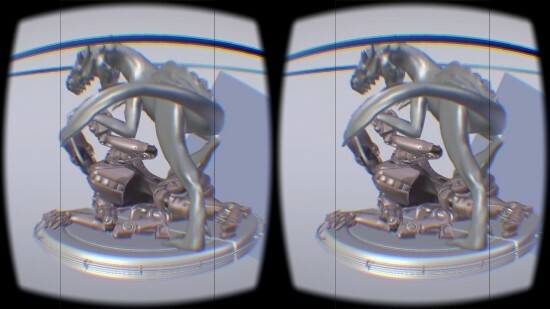 If you have an Oculus DK2 or similar device, you can grab the final image below to play with. 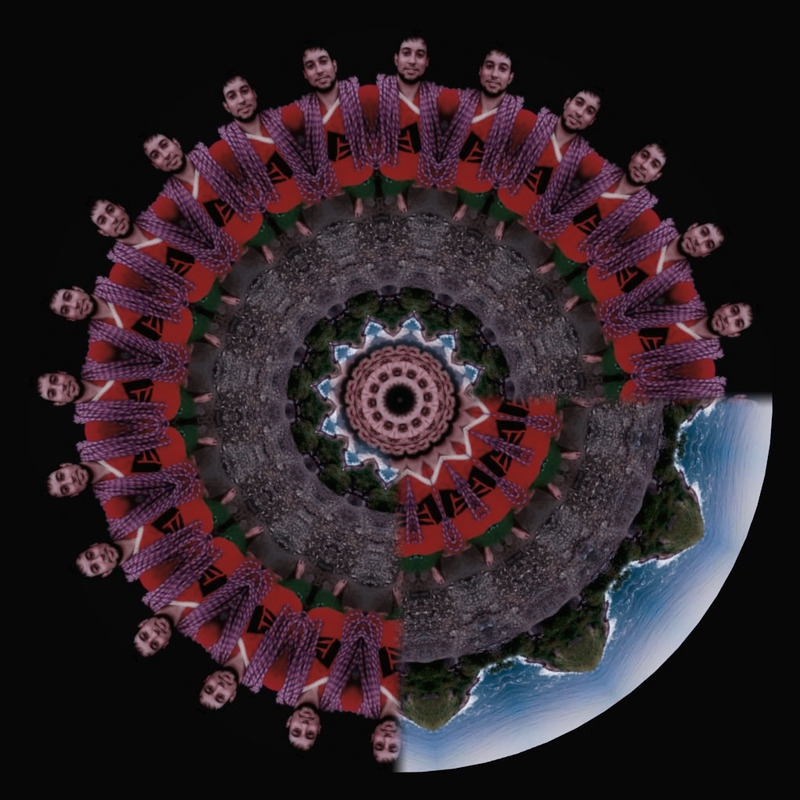 I used Whirligig to visualize the stereo panorama, but there are other alternatives out there. 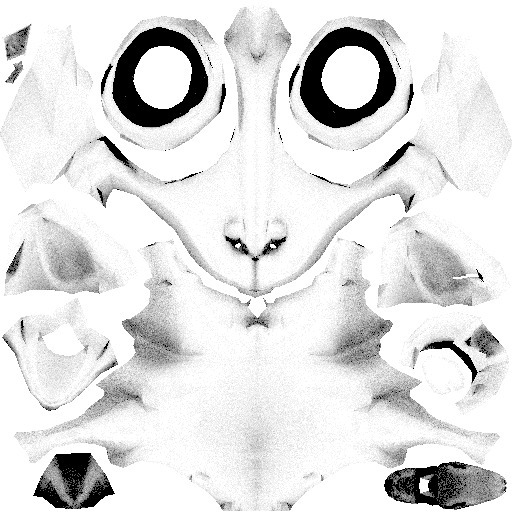 This image was generated with a spin off branch of multiview named Multiview Spherical Stereo. I’m still looking for a industry standard name for this method. But in the meanwhile that name is growing on me. I would also like to remark the relevance of Open projects such as Gooseberry. The always warm-welcoming Gooseberry team just released their benchmark file, which I ended up using for those tests. To be able to get a production quality shot and run whatever multi-vr-pano-full-thing you may think of is priceless. 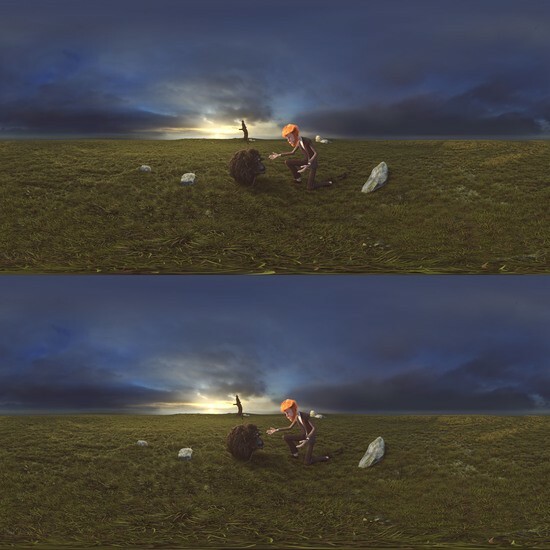 If you want to try to render your own Spherical Stereo Panoramas, I built the patch for the three main platforms. * Don’t get frustrated if the links are dead. As soon as this feature is officially supported by Blender I will remove them. So if that’s the case, get a new Blender. And leave ‘Spherical Stereo’ marked (it’s on by default at the moment). Remember to post in the comments the work you did with it! Last and perhaps least is the small demo video above. The experience of seeing a 3D set doesn’t translate well for the video. But I can guarantee you that the overall impression from the Gooseberry team was super positive. Also, this particular feature was the exact reason I was moved towards implementing multiview in Blender. All I wanted was to be able to render stereo content for fulldomes with Blender. 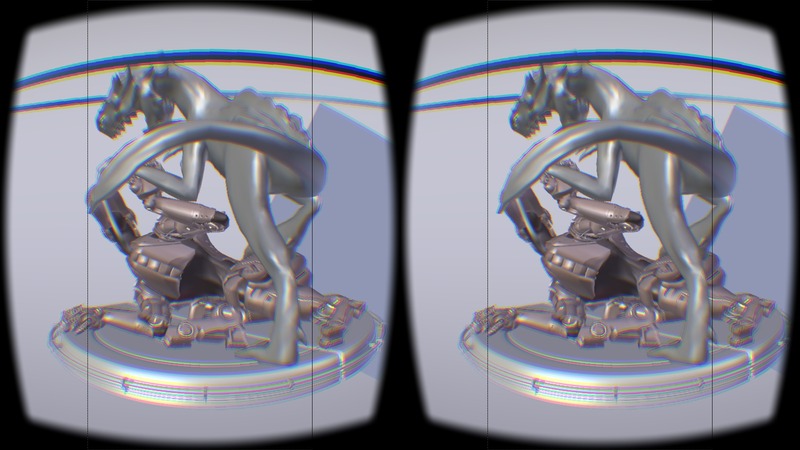 In order to do that, I had to design a proper 3D stereoscopic pipeline for it. What started as a personal project in 2013 ended up being embraced by the Blender Foundation in 2014, which supported me for a 2-month work period at the Blender Institute via the Development Fund. And now in 2015, so close to the Multiview completion, we finally get the icing on the cake. No, wait … the cake is a lie! * Time traveller from the future, hi! If the branch doesn’t exist anymore, it means that the work was merged into master. Thanks! This is not mine though 🙂 Oculus is one of the supported platforms of the Blender-VR project, to be presented at the IEEEVR 2015 next week. If you are interesting in interactive virtual reality and need an open source solution for your CAVE, multiple Oculus or video wall, give Blender-VR a visit. I’m participating in the development of a framework built on top of the Blender Game Engine. Also if Oculus feels like sending me my own Oculus, I wouldn’t mind. If you do, though, consider sending one to the Blender Foundation as well. I will feel bad when I take the device away from them next week. Due to the long review process the patch is not yet in Blender. That said, since there were enough people interested on this feature, I just updated the links above with a more recent build (on top of current Blender 2.76 RC3). The build now also supports regular perspective cameras. This is required for cube map vr renders. For this I also recommend an addon that I was commissioned to build, to render or to simply setup cubemap renders [link]. Note: remember to change your camera pivot to center. Hi there, This is a bit of a last minute post but here it is. This week (24-26/10/2014) I’ll be presenting two talks in the Blender Conference 2014 in Amsterdam. Both talks will be available with a live-streaming, and as a video to be watched later. The first one is on Friday at 14:00 (10:00 in Brazil), while the second one is on Saturday at 16:30 (12:30 in Brazil). If you have any question on either presentation please let me know in the comments so I can get back to you. Last month I attended a Cycles workshop during the BlenderPRO in Palmas (Brazil). I went for the BlenderPRO initially to give a speech on Game Development with Blender, and a Python workshop for Blender addon development. Luckily for me, the conference was beyond my own expectations and I had a great time also attending some of the other talks and workshops. A workshop that I enjoyed particularly well was “Cycles for Architecture Rendering” by Bruno Nitzke. 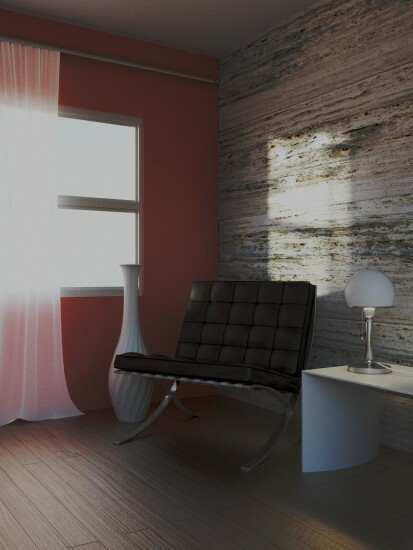 The workshop started with a pre-modelled scene, with a camera already staged (assets from SketchUp 3D Warehouse and Blend Swap). From there we started talking about lighting and different lens/camera settings. For interior scenes, Bruno starts with an HDR map for indirect ambient lighting. We then setup the HDR, a Sun light, a Point light for the side-lamp and lighting was pretty much done. A big thank you for Bruno for being so clear in his instructions and the commitment with the class. And for the organizers of the BlenderPRO for putting together such a memorable event. Recently a fulldome producer needed a solution to stabilize panorama footage and I ended up collaborating with Sebastian Koenig to make a free-gpl addon for Blender to accomplish the task. Worth mentioning, this is pure stabilization based on keeping one point steady and the angle between the two points the same across the footage. For more advanced tracking a more robust system would be needed (e.g., to select four floor points and a horizon point to give the footage always up and facing the same direction, or some damping system to allow some rotation, …). But basically the client was happy with the solution, thus so were we. Addon implementation based on the original work developed last year on Visgraf/IMPA by a different project/team (D. Felinto, A. Zang, and L. Velho): [link]. Hello there. After nearly two months I’m back 🙂 I left Canada and I’m in Brazil (more specifically Rio de Janeiro for the time being). Today I went hiking. Some tourists may know “Pão de Açúcar” (Sugar Loaf), one of the famous sightseeing attractions here. Not only you can take the as-seen-on-007-movie cable cars to get to the top, you can also go hiking there. It’s a lovely view from through the entire circuit. You do need someone experienced to walk you through, since some of the passages require climbing material. A mosaic made with Blender – just so we stay on the blog’s topic.